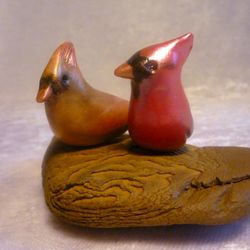 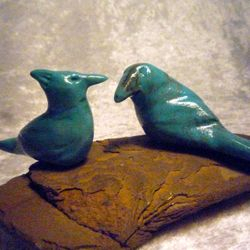 I specialize in miniature birds, animals, and fantasy or mythological creatures hand-sculpted from polymer clay. 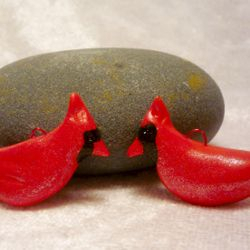 My Etsy store, TouchstoneCreations, went live on January 1, 2013. 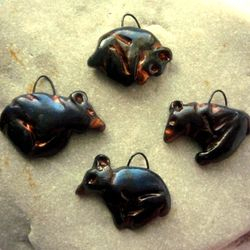 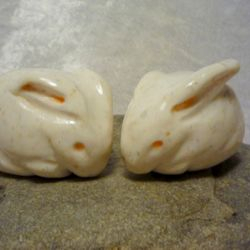 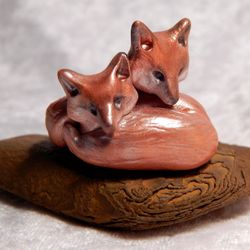 I had been making a variety of jewelry and small sculptures from polymer clay for almost ten years, mostly for my own and my family's pleasure. 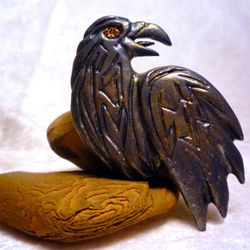 I opened my Touchstone Creations Etsy store in 2008, but didn't yet have pieces ready to sell. 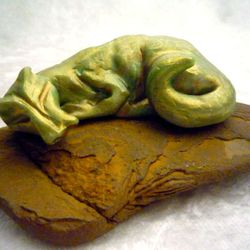 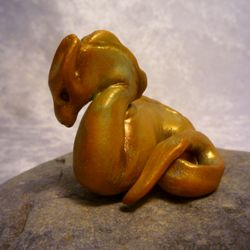 In 2012, I started sculpting small figures of birds, animals and fantasy creatures, such as sea serpents, dragons, and phoenixes, from polymer clay. 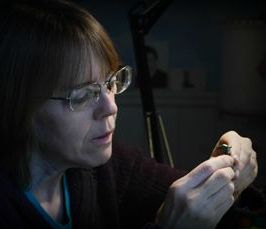 I began working in a much smaller scale than I had before. 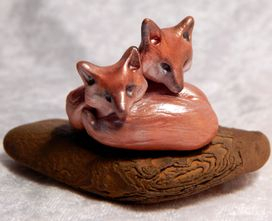 I loved this small work, and, and the pieces began to flow freely from my hands. 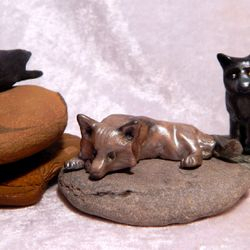 Many of the smallest sculptures I made into charms and earrings, but my personal favorites are the figurines. 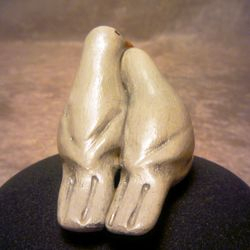 Another of my favorites I call Stone-Look Sculpture, inspired by Inuit carvings, Native American stone fetishes, and Japanese Netsuke carvings. 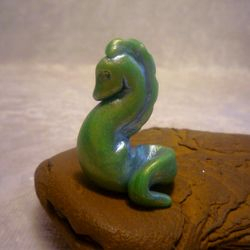 Recently, I have added larger brooches inspired by Inuit art prints and Art Deco design, and I am now working on a hand-sculpted fantasy chess set.